The Sofa Collection by Forest Sofa is now available at Harvest Moon. 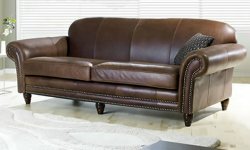 A unique collection of leather sofas and chairs and fabric sofas and chairs all handcrafted right here in the UK with a short lead time of only 4-8 weeks. As Forest Sofa stockists we offer all the current ranges in The Sofa Collection by Forest Sofa which encompasses fabric sofas and chairs, Premium leathers sofas, sofabeds and chairs and Vintage leather sofas, sofabeds and chairs including all the new models. The image above shows the Forest Minuetto 3 seater fabric sofa in Selvaggio Fox aniline leather. The designs include Chesterfield sofas, probably the most famous of all English sofa designs. Best of all there is a wide range of leather sofabeds in 2 sizes and many sofas in half sizes from 1 and a 1/2 love seat sofas right through to 4 seater sofas to fit in all room sizes. Should you wish to visit us in person in sunny Southport we have some pieces of Forest Sofa furniture on display including the Royal sofa. Directions and map. We can also arrange an appointment for you to visit the Forest Sofa showrooms in Manchester to view the whole range if you wish. Click on the link or the image above of the Royal sofa to view the Sofa Collection Fabric sofas by Forest Sofa. The collection includes the Bronx, Chester, Heather, Latino, Liberty, Mayfair, Rico, Royal and Warwick fabric sofas and the brand new Ashbourne, Lincoln and Miami fabric sofas. Many of the sofas are also available as a regular or large sofa bed and also as a chair. The Forest fabric sofas are available in a range of 1/2 sizes from 1 1/2 seater sofas up to 4 seaters. Click on the link or the image above to view the Sofa Collection Premium Leather Sofas range by Forest Sofa. The collection includes the Bronx, Chester, Chicago, Cuba, Latino, Liberty, Manhattan, Minuetto, Modular Corner Sofa Unit, Piccadilly, Rico, Statton and Tiffany sofas and the new Miami sofa and Nevada Chaise Corner Sofa Unit. 11 of the Premium leather sofas are also available as a regular or large sofa bed and many as a chair. 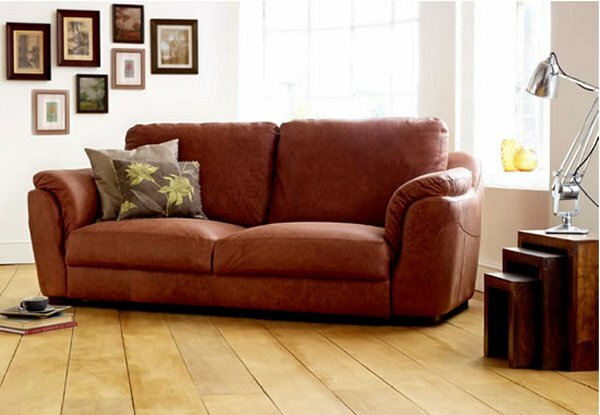 The sofas are available in a range of 1/2 sizes from 1 1/2 love seat sofas up to LARGE 4 seaters. Click on the link or the image above to view the Sofa Collection Vintage Leather Sofas range by Forest Sofa. The collection includes the Balmoral, Baron, Gladstone and Hampton vintage leather chesterfield sofas plus the Royal vintage leather sofa and Douglas, Regency, Scroll Wing and Viscount chairs and the new office chairs - Directors and Executive Swivel chairs. 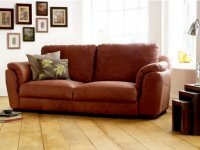 The Forest Vintage Leather Chesterfields are available as 2, 3 or 4 seater sofas and the Royal sofa is available in 1/2 sizes from a 1 and a 1/2 seater up to a 4 seater sofa. Some pieces are also available as a sofa bed and/ or as a chair.